Hanukkah Cookie Stencils - Value Bundle by Stencil Ease at Seasons Cafe Bakery. Hurry! Limited time offer. Offer valid only while supplies last. 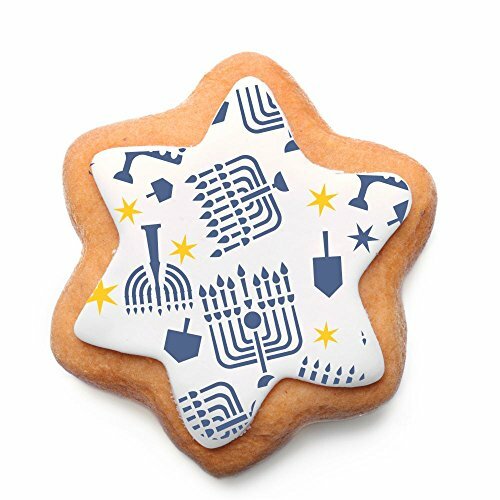 Our Hanukkah Cookie Stencils - Value Bundle include 5 sheets of holiday themed stencils. Each sheet is (5.9 x 5.5 inches) of food grade plastic. Our Hanukkah Cookie Stencils - Value Bundle include 5 sheets of holiday themed stencils. Each sheet is (5.9 x 5.5 inches) of food grade plastic. Start a new tradition. Food grade plastic stencils perfect for cookies, cakes, and candies. Use on cards, packages, decorations. Clean and store. Continue the tradition next year. If you have any questions about this product by Stencil Ease, contact us by completing and submitting the form below. If you are looking for a specif part number, please include it with your message.